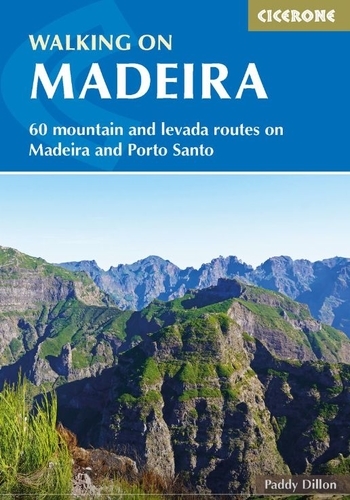 This guide describes a varied selection of 57 walks on the Portuguese island of Madeira, exploring the dramatic cliff coastline, scenic levadas (irrigation channels), dense laurisilva 'cloud' forests and high mountain peaks, plus three walks on neighbouring Porto Santo. There are routes to suit all abilities, from easy, level levada walks to steep and rugged mountain paths  some with exposed sections calling for a sure foot and good head for heights. Since the steep terrain of Madeira does not easily support circular walks, many of the routes are linear, however most can be accessed by public transport and there is the option to link routes to create longer outings and multi-day hikes. With a favourable climate and striking scenery, Madeira is a fantastic walking destination. The routes in this guide are spread across the whole island, and visitors may choose to base themselves in the capital, Funchal, or in one of the many smaller towns and villages. Regular flights and ferries link Madeira with Porto Santo, which boasts an exceptional sandy beach and pleasant, easy walking. The guide also outlines a day-cruise to the nearby uninhabited Ilhas Desertas.